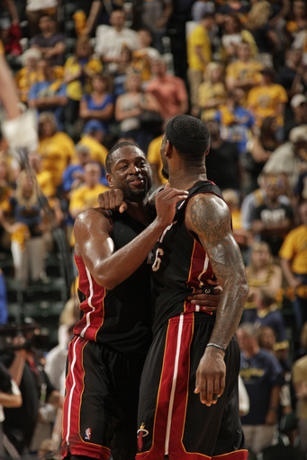 The Miami Heat rode the backs of their two superstars to a crucial game 4 victory. LeBron James out together his best game of these playoffs with 40 points, 18 rebounds, and 9 assists. Dwyane Wade finally alive, scoring 30 points to go along with 9 rebounds and 6 assists. The biggest shots were made by Udonis Haslem, who hit multiple jumpshots down the stretch. Haslem finished with 14 points. Danny Granger scored 20 points for the Pacers. The Heat regained home-court advantage with the win and will look to take a 3-2 lead in game 5 back in Miami. Another round, Another sweep. 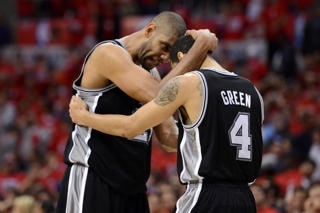 The San Antonio Spurs are heading to the Western Conference Finals after defeating the Clippers in game four 102-99. In what was the most competitive game of the series, the Spurs pulled out the win late. With the Clips down 100-99, Chris Paul drove into the paint but threw the ball away 10 seconds left. The Clippers got the ball back down 101-99, but Paul could not make a difficult shot in the paint and the Spurs won 102-99. Tim Duncan led the Spurs with 21 points, and Tony Parker added 17 points. Chris Paul led the Clippers with 23 points and 11 assists, while Blake Griffin scored 21 points. 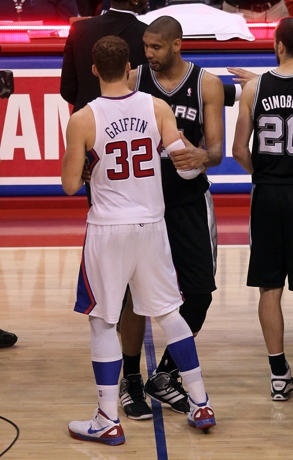 With their 18th consecutive win the San Antonio Spurs sent the Clippers fishing. The Spurs will now wait and see who wins the Thunder/Lakers series.